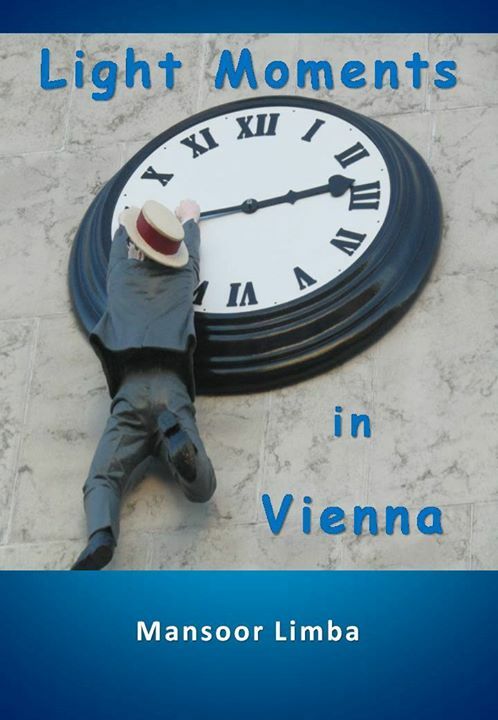 The book features selected anecdotes of my personal experience while undergoing KAICIID fellowship training in interreligious and intercultural dialogue in Vienna, Austria. MAKATI CITY (MindaNews /11 December) – Why are the theory of universal human rights and the everyday practice of human wrongs heaven and earth apart? Are human rights abuses a product of the mere failure of governments to observe universal human rights principles both in letter and spirit? Or, perhaps, is it due to the fact that the very search for moral universals is itself a foundationally fallacious business? To answer these questions through an exploration of the methodological basis of the claims to universal human rights is the principal burden of this section, nay this column as a whole. Historically, the idea of rights has embodied, inter alia, two fundamental claims. First, that there is a claim to some substance by an identifiable subject who has entitlements (object of right); and secondly, that the identifiable subject who has entitlements cites some particular ground in support of his or her claim (foundation of the right). In the context of human rights literature, the object of right is the ‘human’ rights as claimed by the human being while the foundation of the right is the human being’s ‘humanness’. Methodologically, the first element (object of right) is pertaining to the ontology of the subject while the second one (foundation of the right) is related to the epistemology of the same. In this light, four human rights theories according to this ontology-epistemology categorization will be examined below, viz. (1) liberal natural rights theory, (2) traditional communitarianism, (3) communitarian pragmatism, and (4) cosmopolitan pragmatism. Claims to know what is right are founded on “those basic precepts of common morality [which] are accessible to human reason; they can be known by anyone capable of thought and action.” (Joseph Boyle, Traditions of International Ethics, p. 129) Thus, the faculty of reason which is assumed to be transcultural enables individuals to deduce the correct moral code by which to live their lives. As Tim Dunne and Nicholas Wheeler point out, this is an appealing idea but the fundamental weakness of ‘practical reason’ is that it cannot easily explain why moral practices vary within and between cultures. (Dunne and Wheeler, Human Rights in Global Politics, p. 5) The kernel of this natural rights position is that all individuals have certain basic rights because they share the same essential human nature. Traditional communitarianism holds the following core assumptions: (1) the liberal view of the individual as a bearer of rights discards or belittles the formative role of the community in constituting individuality; (2) the problem with the liberal position on human rights is that it assumes that rights-bearing individuals exist prior to societies whereas in reality it is societies that confer rights on individuals. (Chris Brown, The Globalization of World Politics: An Introduction to International Relations, p. 472) As such, different kinds of societies will produce different kinds of individuals, sometimes conferring rights, sometimes finding other ways of giving meaning to people’s lives. Anyhow, the rights of the individuals do not necessarily override the rights of the community. Although this theoretical position has more to commend it than the other two, Parekh opines that it does not overcome the following objections. First, it relies on an account of human nature which brings it perilously close to monism; secondly, it is questionable whether there is a normative consensus on prohibiting even the most cruel and inhumane practice; and thirdly, universal principles are either too abstract or too weak to provide the possibility of judgment across cultures. In sum, for him universal values can have no ‘objective basis’. Universal values are possible but have to be decided through argumentation. Thus, cosmopolitan pragmatism believes it is possible to recognize the reality of cultural embeddedness while leaving open the possibility for a transcultural consensus which is more than just ‘the lowest common denominator of different cultural traditions’. Is the claim to universality masking the particular interests and values of its exponents, and is it increasingly contested as a consequence of the rise of new power centers in world politics? Within the ontology-epistemology matrix, human rights theories can be generally classified into four classes, viz. (1) liberal natural rights theory, (2) traditional communitarianism, (3) communitarian pragmatism, and (4) cosmopolitan pragmatism. Liberal natural rights theory hymns the common ‘song’ that every human being has a set of universal rights by virtue of his or her membership in humanity. This theory represents the universalism-foundationalism ‘box’ in the ontology-epistemology matrix. Representing the subjectivism-foundationalism subset, traditional communitarianism maintains that though human rights are universally acknowledged, there is no monolithic set of human rights values for all people. Thus, these values are community-based and thus, violation of which must be viewed from the framework of the particular society. This theory is commonly known as ‘cultural relativism’. By arguing that the problem with both the liberal natural rights theory and traditional communitarianism is their dependence on ‘universal foundation’ and that human rights values are different from society to society, communitarian pragmatism is appropriately placed in the subjectivism-anti-foundationalism ‘box’. Cosmopolitan pragmatism agrees with communitarian pragmatism in the denial of a common platform to which human rights can be based, but upholds that a sort of universal human rights values can be obtained through agreement among the people of the world. From the foregoing sections, it is shown that side by side with the progress in the human rights norm cascade is the intensification of violation of the same rights. A methodological examination of the contending theories on the nature of these rights suggests that the debate on the causes of the wide gap between the idea of human rights and the practice of human wrongs goes back to the very question of human rights’ ‘universality’ being based on the ‘humanness’ of human being. For the years to come, therefore, human wrongs cannot be expected to be sidetracked from the international scene unless these philosophical issues found their absolute settlement. Yet, a probable source of optimism is the fact that although none of the theories taken into account has finally resolved the human rights philosophical problematique, most people are not philosophers who reckon philosophy as master and not servant. As such, the future of human rights lies on the strength, or otherwise, of the popular backing for its universality in the years ahead. These writings about a massacre, domestication, demolition, and the downtrodden are indeed an illustrious showcase of a continuously growing multidisciplinary trend in the academe. While the Covenant of the League of Nations made no mention of human rights, the Charter of the United Nations’ Preamble stipulates a resolve “to reaffirm faith in fundamental human rights” and its first article incorporates “encouraging respect for human rights and for fundamental freedoms for all” as among the organization’s principal raison d’êtres. 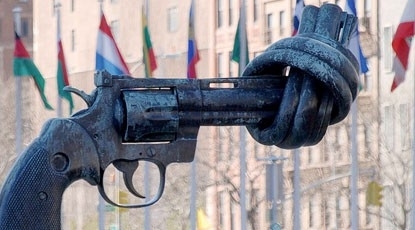 The day after opening for signature the Convention on the Prevention and Punishment of the Crime of Genocide, the Universal Declaration of Human Rights (UDHR) was unanimously adopted by the UN General Assembly (GA). 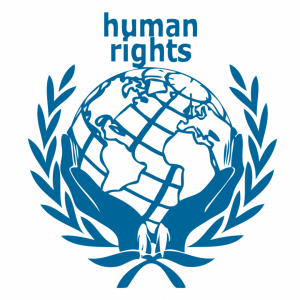 Following the adoption of the seminal and most authoritative statement of international human rights norms, human rights continued to be discussed at the UN though this momentum was initially brought to a halt by the Cold War. 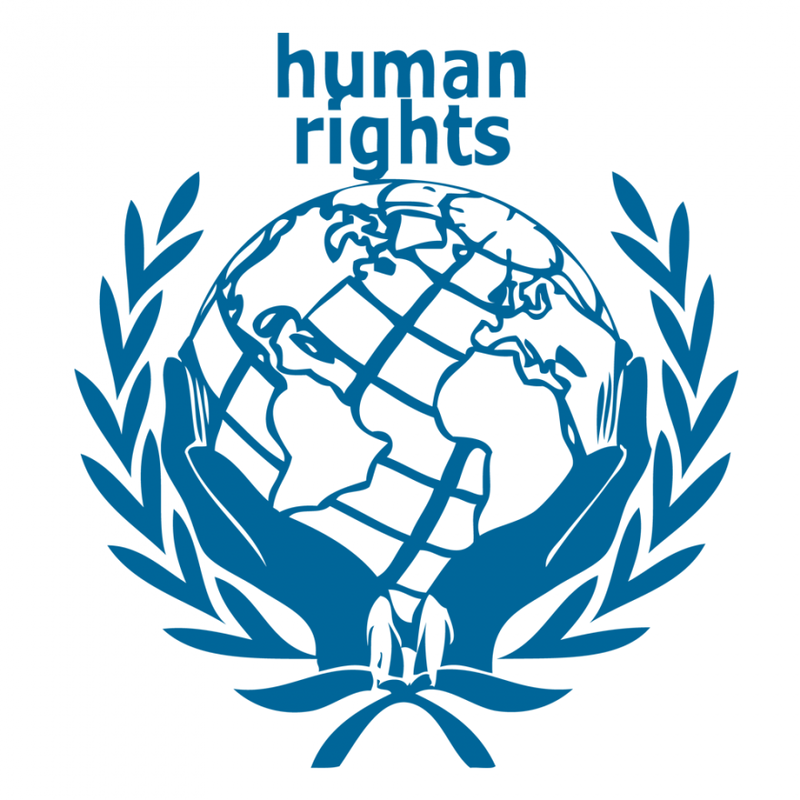 Alongside internationalization of human rights norms, there has emerged a growing moral consciousness among world public opinion of human rights issues and concerns. Along this line, state behavior is now more closely monitored with respect to the gulf between the declaratory commitments of governments to protect and promote human rights and their compliance with these standards. Why the theory of universal human rights and the everyday practice of human wrongs are heaven and earth apart? Are human rights abuses a product of the mere failure of governments to observe universal human rights principles both in letter and spirit? Or, perhaps, is it due to the fact that the very search for moral universals is itself a foundationally fallacious business? Though students of the discipline are usually engrossed with the first kind of issues, it cannot be denied that the second affects the way how we view the former. In other words, substantive questions, including the ones stated above, also exemplify conceptual issues: What is ‘war’? What are the things that can be considered ‘contributory factors’? What constitute a ‘terrorist attack’? What is ‘terrorism’? What is ‘globalization’? What is the difference between ‘agent’ and ‘product’ of globalization? What are ‘political and economic motives’? What comprises ‘aggression’? As far as methodological issues are concerned, two aspects usually come to the fore, viz. ontology and epistemology. Ontology is that branch of the philosophy of social science, which concerns with the nature of the social world. It is interested with the following question: Is there an objective reality ‘out there’ or is it a subjective creation of people? The extreme objectivist stance is essentially ‘naturalist’: the social world of international relations is basically a thing, an object, out there. (‘Naturalist’ in the sense that the natural and the social worlds are assumed to be the same and as such, the same types of instruments can be utilized to study them.) On the other end of the spectrum is the extreme subjectivist standpoint that is purely idealist: the social world of international relations is basically an idea or concept that people share about how they should organize themselves and relate to each other politically; it is constituted by language, ideas and concepts. (R. Jackson and G. Sorensen, Introduction to International Relations, p. 243) Thus, on the ontological axis we have subjectivism and objectivism. At one end of the continuum is the view of scientifically explaining the world. It is a matter of building a valid social science on a foundation of verifiable empirical propositions. In this light, IR theories are explanatory and foundational, i.e. the social world is external to the theory and the theory is based on a common and universally accepted platform. Besides, all truth claims can be judged true or false. The concern of the theory is to uncover regularities in human behavior and thereby explain the social world in much the same way a natural scientific theory does explain the physical world. In this vein, IR theories are constitutive/reflective and anti-foundational, i.e. the theory actually helps construct the world and there is no universally recognized common denominator in which the theory can stand. The very concepts used to analyze the world help to make that world what it is. In addition, truth claims cannot be judged as such since there are never neutral grounds for so doing; each theory instead will define what counts as the facts and so there will be no neutral position available to determine between rival claims. Unlike the foundationalists who believe in the existence of meta-theoretical grounds for selecting between truth claims, the anti-foundationalists think that there are no such positions available, and that believing so is itself simply a reflection of an adherence to a particular view of epistemology. Hence, on the epistemological axis there are two types of classification, viz. foundationalism and anti-foundationalism. Corollary to this, IR theories are classified either as explanatory or constitutive/reflectivist. Therefore, the social world or any social item (object/subject) such as international relations, world politics, or human rights occupies one of the following ontological-epistemological ‘box’: ontological subjectivism–epistemological foundationalism, ontological subjectivism- epistemological anti-foundationalism, ontological objectivism-epistemological foundationalism, and ontological objectivism-epistemological anti-foundationalism. MANILA (MindaNews /08 December) – “A Constructivist Examination of the Circumstances Leading to the First Spanish-instigated Chinese Massacre of 1603,” “Pungko Pungko: The Domestication of Chair in the Philippines during the Early Spanish Colonial Period (1565-1787),” “The Demolition of Art: The Destruction of Avenue Theater and Admiral Hotel in Manila,” and “The Qur’anic Concept of Mustad‘afin (Downtrodden) and Modernity’s Logic of Nation-state Sovereignty: A Postmodernist Reading” – what is common to these diverse articles about a massacre, domestication, demolition, and downtrodden? Or, is there any at all? 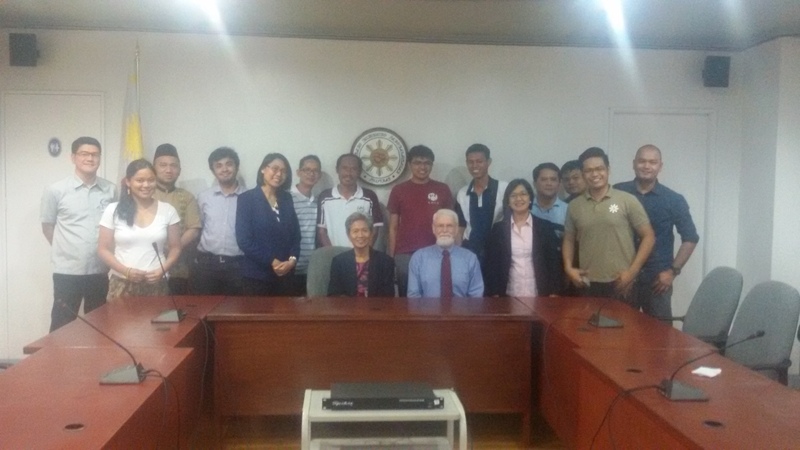 The authors of these academic articles – a UP-Diliman professor, a Cebuana architect, an Intramuros-based tourism officer, and an educator from Mindanao, respectively – were grouped together in the peer-to-peer article review part of a recently-held 3-day academic writing workshop facilitated by two National University of Singapore retired professors in English writing and communication. In the first lecture, it is pointed out that journal editors are more likely to pass to reviewers a manuscript exhibiting six features, viz. : (1) a clear purpose for presenting the research findings in the manuscript’s introduction; (2) a clear sense of the intended audience; (3) a conventional organizational schema that helps readers process information as fast and easily as their reading skills and background knowledge will allow; (4) a clear research question and answer in the manuscript’s introduction; (5) clear arguments throughout the manuscript, based on the research findings, for why the answer advances a new understanding of the research topic driving the research question; and (6) language that helps readers to build a clear, concise, and coherent understanding of (i) the research question, answer, and supporting arguments and (ii) the way they are organized to carry the manuscript’s purpose for presenting them. The first three features – purpose, intended audience, and organizational schema – were the focus of pre-workshop assignments while the other three features – research question and answer, arguments, and language – were closely examined in the lectures and workshop. Before the concluding plenary session, the one hour individual session with both facilitators for each participant was most instructive and unique opportunity in learning the nuts and bolts of revising one’s manuscript. This workshop is the last in the 2016 series of trainings-seminars organized by the National Historical Commission of the Philippines since last August. The earlier trainings were about historical method, doing local history, the history museum as a learning tool, and putting up a local museum. These writings about a massacre, domestication, demolition, and the downtrodden are indeed an illustrious showcase of a continuously growing multidisciplinary trend in the academe. VIENNA, AUSTRIA (MindaNews /02 December) – Most probably like you, when I was a child, seeing a rainbow would make me happy. In the last week of May this year, I was unprecedentedly elated to see a different rainbow – a rainbow of diverse religions, cultures and countries. It happened in Mergrande Beach Resort, Davao City during the orientation training for South and Southeast Asian Fellowship Program of Vienna-based KAICIID International Dialogue Centre. The two-week intensive training in interreligious and intercultural dialogues was attended by over 20 Fellows of diverse religious affiliations (Buddhism, Christianity, Confucianism, Hinduism, Islam, and Judaism) from Bangladesh, India, Indonesia, Myanmar, Pakistan, the Philippines, and Sri Lanka. The one-year fellowship is an online and offline learning and training program that empowers institutions by providing capacity-building skills to select teachers. Aimed at facilitating dialogue encounters by giving these teachers the tools, experience, networks, and knowledge to pursue interreligious and intercultural dialogues and further be able to prepare their own students to become facilitators and leaders in interreligious dialogue, the fellows also learn how to train their own students in conflict transformation so as to be active peacemakers in their respective communities. During the Fellows Program, the participants have the opportunity to develop and implement small-scale local and/or international initiatives, within their respective institutions or beyond. They also participate in and organize dialogue sessions, lectures, field visits, and conferences. 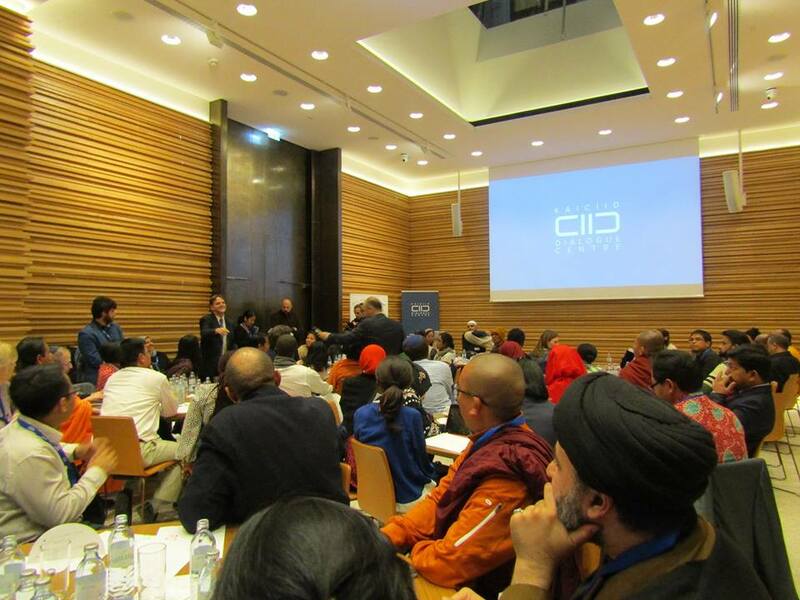 After the one-year program, the Fellows become part of the KAICIID Fellows Network, which works on following up on the fellows’ progress, and invest in their long-term sustainability as resource persons in the field of interreligious dialogue and conflict transformation. Amidst the chilling winter here in Vienna, this week I can see a potential super rainbow in the world – an unparalleled gathering of almost 70 Fellows (2015, 2016 and 2017) at KAICIID Dialogue Centre. These ambassadors who come from almost 30 countries the world over believe that amidst the current deluge of internecine wars, religious bigotry, and violent extremism, there is hope. In continuously hoping in the realm of both theory and practice, their music is the Mozart of dialogue; their Burgtheater the theater of community reach-out; and their Hofburg the museum of shared experiences and common witnessing. That hope is peace/salam/shalom/kapayapaan/kalinaw/kalilintad/sagiatra in the entire world.